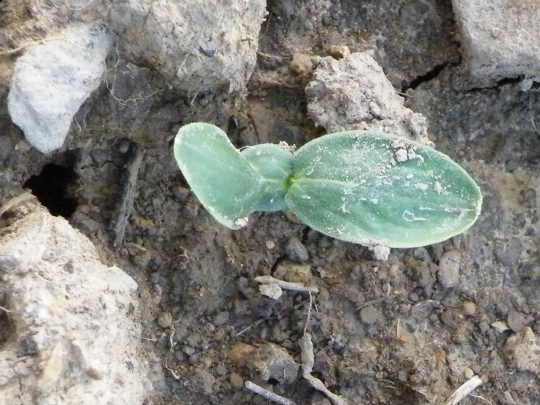 I finally snapped a picture of a cucumber forming on Friday. These small veggies were hard fought for, and late in the season. To get this photo I had to battle two foes. First the ever present and hungry cucumber beetles. Second, furry ground hogs which are the size of a small beagle, with an appetite that would put a hound to shame. Now that I have the chance to see a cucumber I’m left wondering about those tiny spikes on the edges. I’ve tried to do a search online to find their meaning, with no luck. 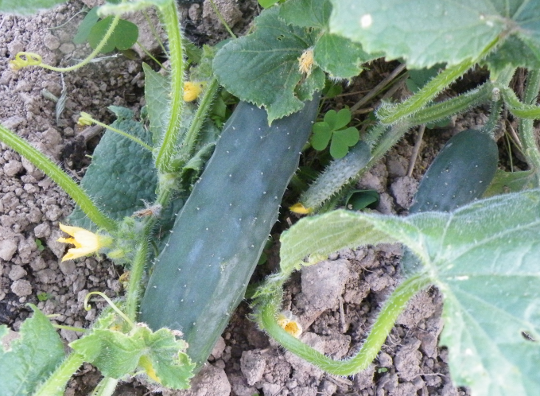 Spikes or not, I was quite happy to find this larger cucumber latter in the weekend. It’s big enough for salad, and it was quite good, perhaps even more so because it was hard fought for. Every cucumber I have ever grown in the garden was considerably poky when it was picked. Spiny enough that it was sometimes uncomfortable to hold tight while I pulled it from the vine. The points rub right off, and I guess that is done before waxing to all the grocery store cukes. I’m wondering why the plant has them ? They don’t seem to serve much of a defensive purpose, perhaps a remnant of evolution ? The best I could find was that the spikes vary by variety, and that the ones grown in a greenhouse usually have none. I have no idea why they are there. If they are evolutionary, perhaps the way they spread while the plants grows tells us something. 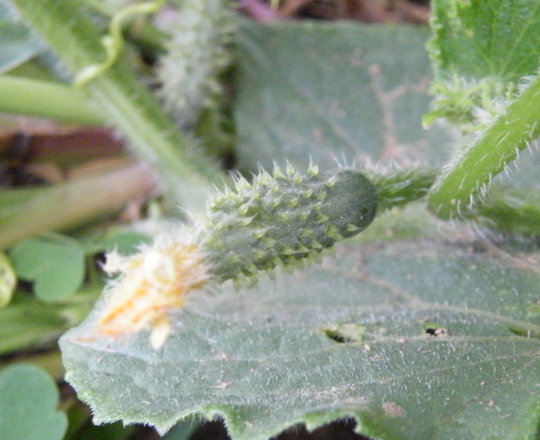 When the cuke is small, there are more spikes per square inch, which tends to increase it’s defense and perhaps prevent it from being eaten before the seeds are mature. When the cuke is quite large and ripe, the spikes are so far apart that they are all but gone. Then an animal who eats the mature fruit would help to spread the mature seeds. That sounds like a very probable reason. You may be on to something !